Today’s theme for #1lineWed is brought to you by the letters K-O-D, which of course stands for Kiss of Death. I’m going out on a limb because I can’t see the forest for the trees and everyone leaves before getting to the good part. No, I haven’t had enough coffee yet. Why do you ask? As you may have guessed the inspiration words are **TREES, LIMBS, LEAVES, BRANCHES**. Y’all are in luck today. 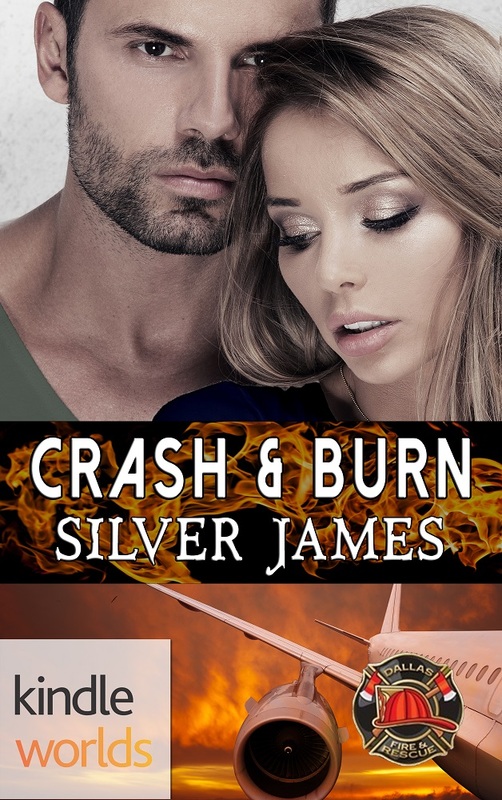 With CRASH & BURN releasing tomorrow–still no buy link yet–I thought I’d share this snippet. This scene takes place the morning after Derek and Kit’s first meeting. He shut her up by kissing her. And he dodged when she swung her fist at his jaw. He caught up both her hands, twisted her around and gathered her back against his chest. He buried his nose in the soft spot behind her ear, inhaling deeply. He could almost hear the crunch of fallen leaves beneath his feet, feel the warmth of the sun on his face, and smell the evergreen trees on an autumn day. Gods but he loved the way she smelled. He spun her around to face him, like one of those fancy ballroom dance moves, and his mouth descended to cover hers again. Holy cow but the man could kiss. Kit did her best to remain focused. And mad. But how the heck was a woman supposed to stay angry at a man who curled her toes? Logic. She needed to apply cold, hard logic. Then she pictured him naked. Her brain broke. Kit kissed him back. The aroma of baking cinnamon rolls wafted over her natural scent. She wanted him. If he’d been a dancing man, he would be doing the tango. But he was a Wolf. He was too busy planning ways to claim his mate. So, those are my words for today. What about y’all? Any tree-mendous words to share? This entry was posted in Writing Life and tagged #1lineWed, #DFRKW, Amazon Kindle, inspiration, Kindle Worlds, Moonstruck, new release, quotes, snippet, Wednesday Words, writing. Bookmark the permalink. I’ll wait to read the whole thing. But… SQUEE! Here’s mine… Dennis has just arrived at the site of a grisly discovery and is speaking with a witness of sorts. ‘shrooms! And not-so-manly man. And Dennis. I do ❤ Dennis! 😀 Can't wait to read this one!